The H96 Pro Plus TV Box designed to change your traditional TV & LCD monitor into a intelligent platform by connecting the Internet which just like a Tablet PC，which comes with the 1 year warranty and the free technology support. → 4K Resolution and H.265 VP9 Decoding, so not a single detail will be missing while your movie and games are in 4K ultra HD. → Pick up where you left off. Bring TV BOX with you when you travel. 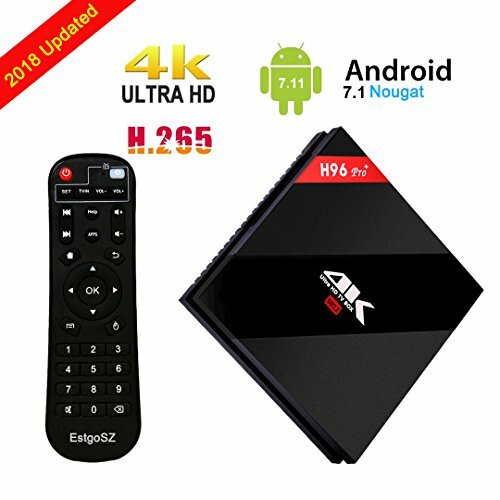 Plug H96 tv box into any TV's HDMI port, connect to Wi-Fi, and continue watching.